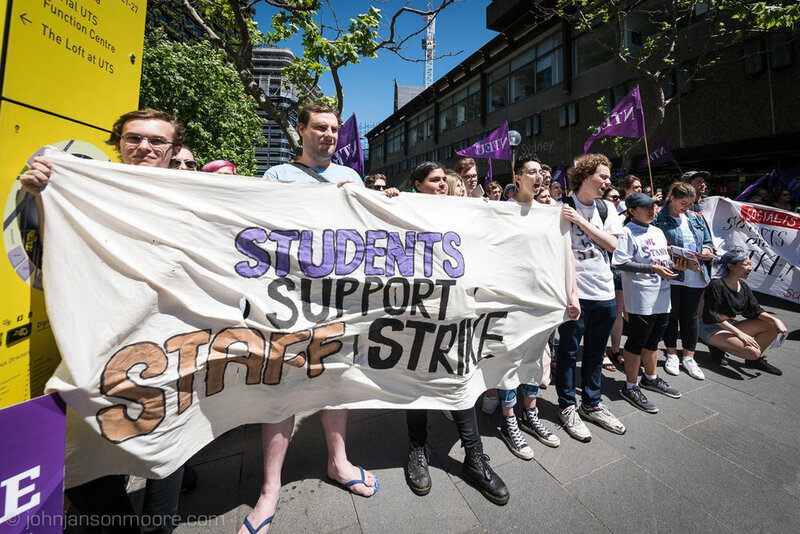 Staff and students today took industrial action at UTS against the ongoing casualisation of the workforce and corporatisation of the university. Speakers spoke out against putting profits before staff, students and higher education. 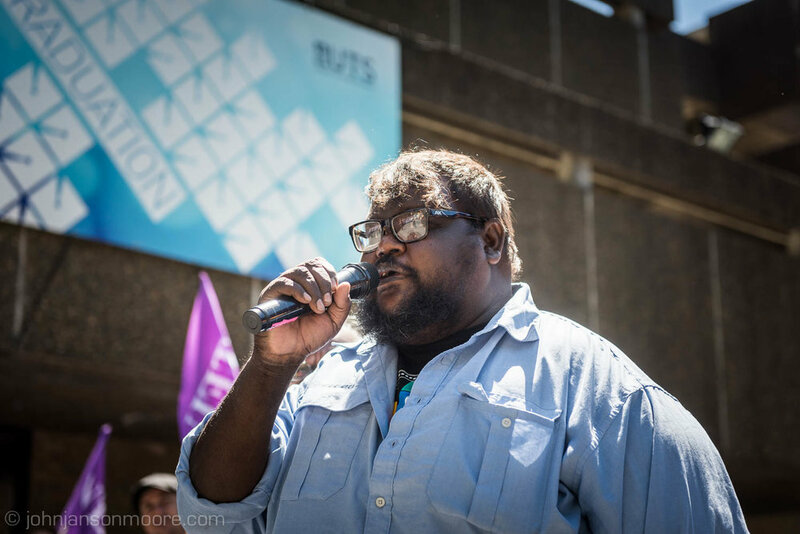 Gadrian Hoosan and Nancy McDinny spoke on behalf of the Garrawa people from the Borroloola area and the First Nations Workers Alliance, drawing attention to the injustices of the Northern Territory 'intervention' and Basics Card. Also represented were members from the NTEU, the MUA and the CMFEU.